What do our customers think of Hardy Heating? Get a Magnabooster for £180 supplied & fitted! Why should I service my boiler? Is it worth it? We are a company of ex British gas engineers (all CRB checked) working within 20 miles of the Addletone, surrey area. We are based in Addlestone, Surrey and Egham, surrey. We work with many letting agents and private customers in these areas. We carry out both minor and major gas works ranging from boiler installations to boiler servicing and repairs. We offer a maintenance contract to all customers including landlords to make sure any repairs and safety checks run smoothly. We carry out powerflushing at a competitive rate and work in the surrey, middlesex and Berkshire areas. We started up in 2013 when charlotte left British gas after 7 years service. She started up as gas girl limited - a gas engineer based in Egham, surrey and working the surrey Berkshire and middlesex areas carrying out boiler servicing, boiler repairs and maintenance on gas appliances. In 2014 Stewart joined forces with charlotte after 14 years service at British gas. Our trading name then changed to Hardy Heating. With Stewart on board we are now able to offer a wide range of work, including general plumbing, boiler installations and powerflushing. Keeping you safe and warm! 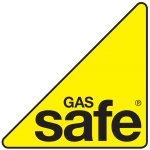 We are gas safe and CRB checked engineers, here to help you keep your home comfortable. We've listed some of our skills to the right, but, this is by no means everything we cover. Take a look a little bit further down the page to see the full range of services that we offer. If you live within 20 miles of Addlestone, Surrey, then we are here to help you, any time you need us. Hardy Heating also do property management for landlords. £58 PCM.